Lately I’ve been commissioned by a new mixer brand based in London to create a range of cocktails ready for their official launch. Duly obliging, I came up with a variety, all with different base spirits to capture a variety of moods the drink could capture. 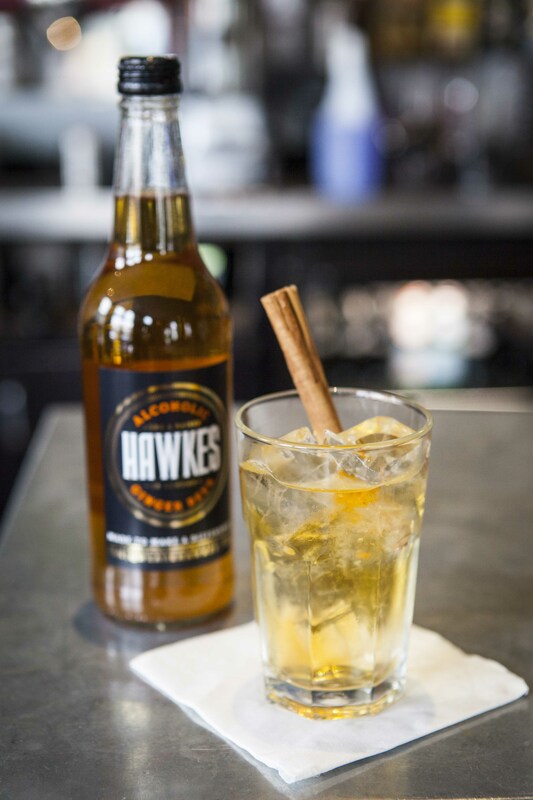 The chance to create cocktails for a brand is always an honour, but what made Hawkes stand out to me was the vision and reasoning behind Simon Wright’s creation. 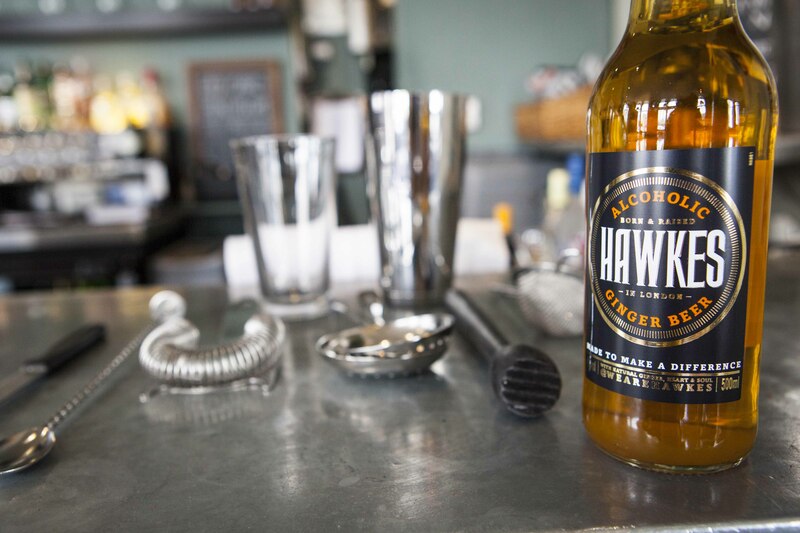 Back in Victorian London, ginger beer was sold in the street by the now aptly named vendors the Hawkers. Not only were they opening the palates of Londoners everywhere, but they strived to create a ‘new and better way for themselves and those around them’. Simon wished to re-create this bold reasoning from over 100 years ago, and it all started with the life of a green bottle on his own kitchen table. 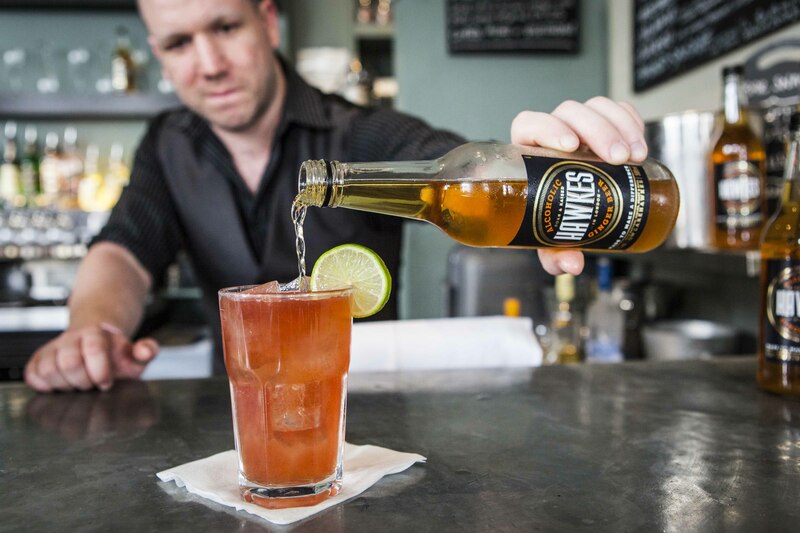 Creating a ginger beer using natural ginger, kiwi and mandarin that was to be enjoyed initially by friends and family quickly escalated into something to be shared with Londoner’s, just like the Hawkers before him. It’s not just himself he’s helping to command a presence within the traditionally small market of ginger beer, but Simon is committed to give back to local communities and not for profit organisations, again tipping the hat to the original peddlers of ginger goodness. Light, fresh ginger on the nose with followings of kiwi juice. Incredibly light carbonation, with subtle ginger on the palate. Well-rounded with the ginger and citrus tones of the fruit. A lack of sugar expected raises hopes of an all natural recipe. A little dry to finish, with stemmed ginger lingering. Very different to other’s within the alcoholic ginger beer category, and one that you would find hard pressed to feel the effects from after a couple. It just seems natural enough to enjoy all day! Combine within an ice filled highball glass. 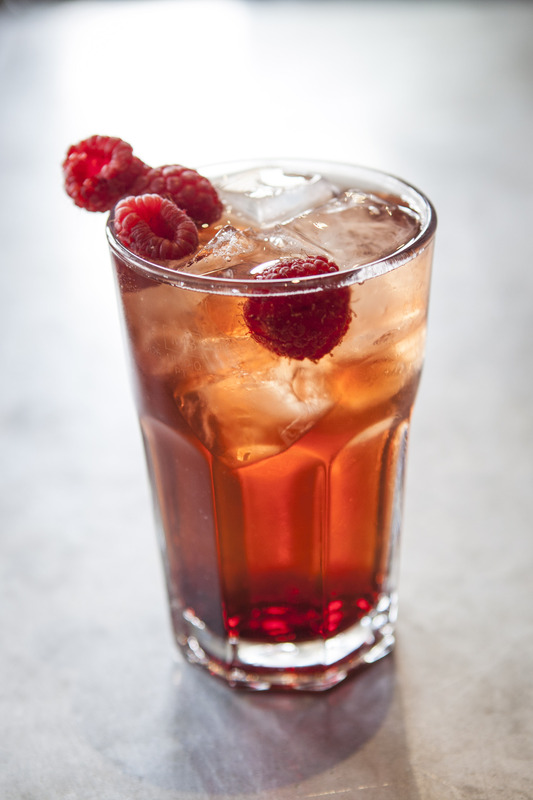 Garnish with stemmed raspberries. Combine within an ice filled rocks glass and garnish with a cinnamon stick. Hopefully they capture Hawkes perfectly, and don’t lose that all important natural flavour profile. The brand is slowly making its way around the UK, and can be purchased for your own collection, and could very well be surpassing other well-known beers of the ginger variety in the coming months. A simple yet great story, inspiration and a believer in a cause. There’s a lot more to Hawkes and Simon than meets this very scrutinised world we live in. For more photos and recipes for my cocktail creations, please visit my Facebook page. Thanks to Joe & Charlotte Photography for the photos.